If it feels like you’ve tried everything to lose weight, from fad diets to a strict exercise regime and the weight still isn’t coming off, then it may be time to take a less conventional approach. 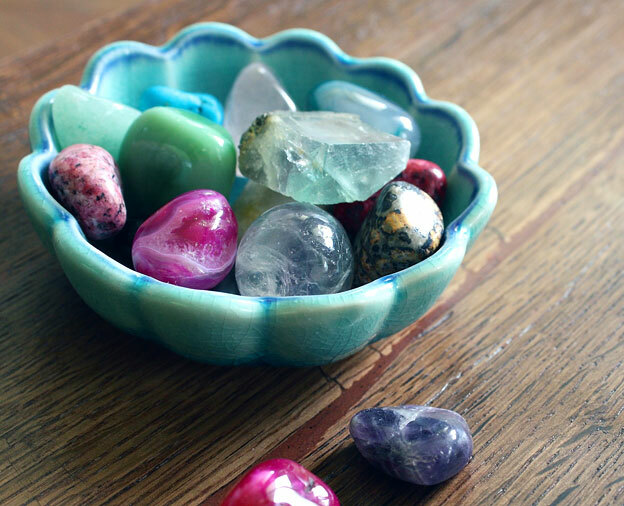 Did you know that you can find healing crystals that are meant to help in weight loss? Of course, it sounds too good to be true right? Well according to some people these select crystals can truly help to shed those final few pounds, allowing you to finally hit your goal weight. What is important to understand is that the healing crystal isn’t going to be that magic product that instantly takes away your extra weight. Instead they help you to change patterns your mind set, and even help to suppress hunger. They will help to change your lifestyle so that using healing crystals for weight loss comes about more naturally. Before you purchase any crystals it’s a good idea to think about why you are carrying extra weight? Are you eating when you are stressed or depressed, is over-eating an addiction, do you lack motivation and energy? The answers will help determine which crystals will give you the best results. Which Crystals Should I Buy? This crystal is said to suppress hunger, which in turn means you will eat less and therefore start to lose weight. It doesn’t matter if you get the green or blue version of the crystal. This one is meant to speed up your metabolism. The thing to keep in mind is that if your metabolism increasing, you may start to feel hungry. It’s a good idea to use this one in conjunction with the Apatite in order to suppress that hunger. While Amethyst isn’t specifically meant for weight loss, it is meant to help people with addictions. If your problem is over-eating, then it can help you put an end to that addiction. It is also able to bring about calmness, which will help you to fight off those food cravings. This crystal is meant to help with weight loss, addictive behavior (which can include over-eating), and obesity. Besides helping with obesity and weight loss, this one also helps with discomfort and pain, helps to keep your heart healthy, and is ideal for those who suffer from diabetes. Turquoise is often described as a “multi-healer” as it is able to help with so many different issues. Weight gain is among the issues it can be useful for. Healing crystals hold all kinds of amazing benefits as more and more people are coming to realize. While they don’t offer a magic cure, they can certainly help you physically and mentally so you can hit your weight loss goals.